I love Jenny’s post. I agree with her attitude of focusing on helping a business be the best it can possibly be rather then chasing trends. But I also think it’s important to take a step back and remember the good things about the industry – why myself, my colleagues and peers, chose this profession. I chose this industry for a reason. One of my favorite speeches is a TED talk by Simon Sinek called “Start With Why”. It’s a great talk worth watching, but in summary: Anyone could tell you what they do. Most can explain how they do it. Only the truly passionate can explain why they do it. Knowing why you do something is critical; it’s something that all successful companies have. The people who make an impact have a reason why they do what they do. Here’s my why. And the things I keep in mind to keep myself from “Going Wrong” as Jenny would say. I like to label myself as a “marketing” person rather than an “SEO” person. People purely bred in SEO are not people I enjoy working with. They focus on the technical – but the technical is only one of many aspects of being a successful marketer with a specialization in organic search. You meet some professionals, and all they seem to talk about is “SEO” – about robots, sitemaps, code and the color of their hat. Nothing wrong with that, that’s a big part of what we do. But let’s not forget something – SEO is a form of marketing. It’s just one of many forms of marketing, and if you don’t understand how to be a marketer, you’ll never win as an SEO professional. These ‘SEO Rockstars’ could tell you the world about how an .htaccess file should be setup, but they couldn’t begin to rationalize the mission of their client’s business, helping that client define a brand position, why customers should buy from that company, how that company helps their customers. You know, the stuff customers who are looking at the website ACTUALLY care about. Great, you got 10,000 visitors and all of them are like “Oh sweet, here’s an widget company. There’s 27 other companies ready to sell me widgets. Why should I work with you?” And someone who has a LinkedIn title of “SEO NINJA ROCKSTAR” won’t be able to get that brand’s message across because they spend all their time thinking about Robots.txt instead of what Will Reynolds likes to call Real Company ‘Stuff.’ You know, actual marketing. Organic search is one out of dozens of channels in the marketing world. It’s not a replacement for another channel; it is not the be-all end-all of the marketing world. Similarly, SEO does not exist in a vacuum. For all your “low bounce rate!” and “I ranked for this keyword” and whatever else you want to go on about – well, are those things actually bringing in the customers you want? Is any of this making you, the client, money? Let’s stop treating this as some sacred science, like we’re some special wizards or something. SEO is just another form of marketing. Depending on your industry it might be a small percentage or a huge percentage of your marketing efforts. But it’s just applied marketing. The same principles that apply to traditional marketing apply to SEO – you need to know your target customers, you need to have competitive advantages, you need to be willing to adjust your efforts when necessary. There is no secret sauce, and for all the rankings and links in the world, companies engage in marketing to improve the bottom line. Not their Domain Authority, or average keyword position, or anything like that. These things are important indicators, but they aren’t the goal of being in marketing. They never have been and never will be. Little Barry wanted to be a computer engineer growing up. He realized he talked way too much to work on a server all day and began working in marketing instead. He got into SEO because he was left in charge of a website. And he found it awesome that he had the ability to influence an engine ran by some nerds in Mountain View, California. Let me be quite honest for a moment. There was a point in my career, in my life, when I thought about changing course. I was churning out title tags like a robot. I forgot the why of what I do. 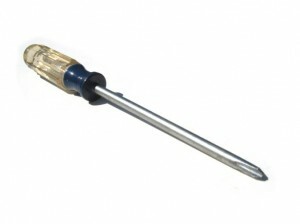 One day I got an assignment at my previous position to write a blog post about a screwdriver. This is content that helps no one. I came home, defeated, and decided to brush up on my SEO knowledge to help in my job search. I spent all night reading about how there are over 300 factors to a search engine, how Google changes their algorithm every 12 hours, how Google handles BILLIONS of requests each day. That was when the fire was re-lit. I wanted to remember why I got into SEO, and I did – this stuff is awesome. Welcome to Hell. Write 500 words about this. We love to hate on Google and Matt Cutts but let’s be real – this stuff changed the world. We now have access to virtually anything in the world from our fingertips in seconds. The business world has changed dramatically with not only Google, but e-commerce retailers like Amazon, companies like Yelp who provide information on stores and restaurants, social media like Facebook that keeps us connected throughout the world. And we, as SEOs, are a part of this revolution. For better or worse, we affect the way Google does business, we help companies connect with new customers worldwide, we help companies create content that provides value to customers and to the world at large; we power an entire multi-billion dollar industry that didn’t even exist 20 years ago. And it’s an industry that’s everywhere – Chicago, New York, San Francisco, Dallas, Japan, England, even some guy working out of his house in Wyoming. It’s an industry that serves almost every industry and can be accomplished across the globe. Let that sink in for a minute. You have the power to influence one of the world’s most powerful companies. You have the ability to help companies reach thousands of people across the world. You have the power to create something. That’s a huge part of the “why” of what I do, and why I chose to work for Digital Third Coast – we have the power to make a measurable difference. That’s why I work as an SEO – in my time in this industry I’ve helped dozens of businesses grow and helped them change for the better. Digital marketing as a whole – SEO, PPC, Social Media and beyond – has analytic capabilities far beyond what traditional marketing can provide. How do you measure the impact of a billboard? Of a TV advert? Of a stadium sponsorship? These are all important components of the marketing mix, and there are some ways you can track their impact, but none are as exacting or simple as the analytics you get with digital marketing endeavors. Few people choose an airline based on a stadium name, even if that stadium hosts champions. This is particularly true for small businesses – big companies can pay Nielsen for their market research and do advanced estimations for their sponsorships, but small and medium-sized companies can’t afford that. But almost anyone with a little technical savvy can set up Google Analytics and AdWords and track things like how visitors get to their site, e-commerce revenues by source, or which of their advertising efforts bring in the most revenue. This level of analytics was not available in the past, and certainly not available to as wide of an audience as it is now. We have more analytical horsepower than ever before and it’s more accessible than it’s ever been. No system of tracking ROI is perfect, but digital analytics are pretty damn good compared to other methods. I would not be where I am today- I would not be in this industry, for that matter- if it wasn’t for the collaborative nature of the digital marketing industry. For how protective people get about their new tactics at times, there is a TON of information out there from basic SEO guides to advanced filtering tactics. Google puts this information out. Matt Cutts goes on YouTube and answers webmaster questions. Rand Fishkin is constantly running experiments and sharing his thoughts with us. Search Engine Land is bringing us news all the time. Every agency has a blog where they’ll share their thoughts and (some of) their tactics with you. Every job I’ve had in this industry, (almost) every person I’ve worked with has taught me something. I’ve had the opportunity to share my knowledge not only with the clients I serve but with my colleagues, my friends who run websites, there was even an Uber driver who told me about his online business. I sat in the car and explained the basics of SEO for 15 minutes at 2 AM. Of course, not all knowledge is shared, and there’s a certain amount of skill and expertise involved in SEO that no amount of reading can provide. But the knowledge is there for just about anyone to get started and expand their knowledge. In addition, working in SEO exposes you to many other industries and roles – content managers, developers, designers, sales teams, customer service, paid search, social media. I’ve had colleagues in all these functions and I’ve exchanged knowledge with them. I’ve worked with clients doing everything from selling sugar-free candy to data integration software and been able to learn about their industries. I’ve met clients and coworkers from across the country and the globe which have broadened my worldview. There is no shortage of opportunities to expand your knowledge, and the variety of people and companies you work with both as colleagues and clients is unmatched. Alright, maybe it’s not always fun. Any job has those tasks you don’t care for, some bureaucracy to navigate through. That’s a reality of almost every job and career. And no matter how passionate you are, there are some days where you’re just not in the groove. There are weeks where you aren’t in the zone. It’s a reality. Everyone has a bad day, week, month now and again. That being said, I believe that if you aren’t enjoying your job the majority of the time, it’s time to find a new one. And I love what I do. This goes back into the section of why SEO is awesome – I get to help clients make a measurable impact on their bottom line, I have colleagues who teach me new things and help me improve as a professional. As an added bonus, most people in online marketing tend to be pretty fun to hang out with – it’s not an industry of squares or anti-social folks or uptight people. I’ve never had to wear a suit to work, and I’ve eaten my body weight several times over in free snacking. Are there SEO pitfalls and problems with the SEO community as Jenny outlined in her post? Yes. Absolutely. There are snake-oil salesmen, professionals who cry like children when their favorite tactic gets penalized. There are those who are just in it for a paycheck. There are those who don’t truly care about the success of their clients. These things can be said of almost any industry. There are always rotten apples in the basket. But for all the SEO red flags the digital marketing world has, for all the bad experiences people have with the SEO industry – we’re still a needed resource. The presence and influence of search engines continues to grow and expand; and for how mighty Google might be, we can help businesses get their piece of the pie. We have the power to influence. We’re part of a new frontier that’s only now beginning to settle and will continue to evolve. I keep a screwdriver on my dresser to remind myself that SEO isn’t about being a content robot or metrics, churning out blogs and links for the sake of it – it’s about helping companies reach their goals with your marketing prowess in an applied manner. It’s about helping businesses navigate the unknown. It’s about making a measurable difference, and it’s about being a trusted consultant, not a “Ninja” or a “Guru.” It’s something awesome. And sometimes we have to take a step back to appreciate that sometimes. Barry, I love this post!